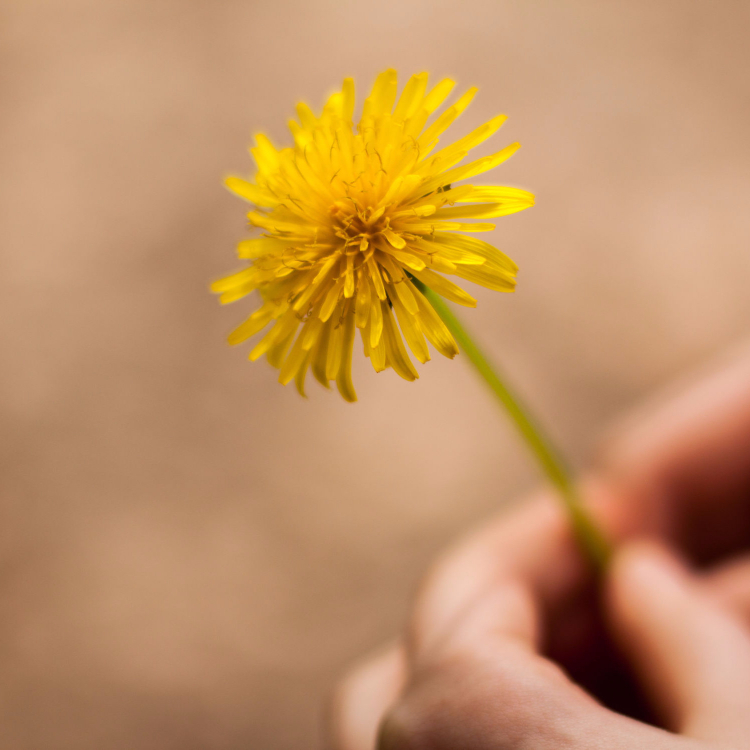 Save the Dandelions – Don’t Mow the Grass! It’s official. The snow has melted, April outdoor temperatures are setting into May temperatures with warming sunshine beaming down ever so occasionally on our garden plots to warm it for upcoming planting. It seems safe to tuck our puffy coats back into their summer homes. Brave crocus has poked their heads through the frozen ground, and tulips and daffodils also seem to be now singing springtime praises. The anticipation of “fresh from the garden” eating is creeping in, and we can hardly wait! Well before most of us will see results from our cultivated gardens, Mother Nature has been busy providing foraging finds in Maine forests, on lawns, and along sandy banks of rivers. The Local Food Day: Maine Fiddlehead Festival was Saturday, May 6th, 10 – 3 on the University of Maine at Farmington campus. There were lots of activities, music, and the ever famous “tent talks,” as well as an afternoon showing of the film SEED with local seed celebrity, Will Bonsall, on hand to answer questions and sign his new book, Essential Guide to Radical, Self-Reliant Gardening. It was also the official opening of the summer season of the Farmington Farmer’s Market! Now in its sixth year, under the direction of Cynthia Stancioff, this year’s theme of “Seeds and Breeds – Preserving Food Diversity” garnered great interest. Having been on the committee for all six years, I’ve been happy not only to see the festival celebrate what we traditionally think of local foods but also, each year includes some aspect of foraging. Fiddleheads are the obvious foraging mention here, but most of us have a common wildflower popping up on our lawns right about now that is ever more prevalent, but doesn’t get as much respect. Native American Medicine and Traditional Chinese Medicine have used dandelion root extracts for treating leukemia and breast cancer. The US National Library of Medicine posted 2010 study results suggesting the extract targets cancer cells, killing them off but leaving healthy cells alone. Have issues with fluid retention? Dandelion tea acts as a diuretic by increasing urine production. Fresh or dried dandelion stimulates the appetite and settles the stomach. Be careful; the root may act as a mild laxative. Antioxidant powerhouse! Antioxidants slow aging, thwart cancer, and other oxidative related stress. Beta Carotene! Dandelions contain more beta carotene than carrots! Vitamin K is essential for building strong bones and keeping our memory in tip top shape. Dandelion greens provide 535% of the recommended daily requirement. Eat up! Research suggests ingested dandelion tea supports immune function and keeps microbes in check. Microbes are those invisible to the eye bacteria that induces fermentation and disease. 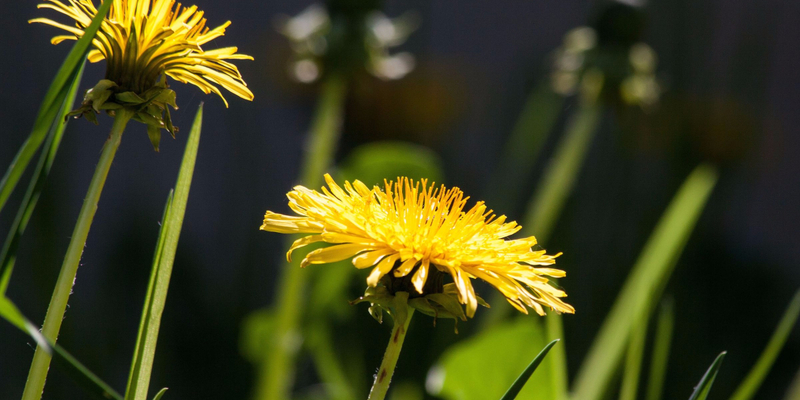 A couple of ways to enjoy the healthy benefits of dandelion flowers and greens. Mild Tasting Tempura Blossoms Remove all of the green parts and dip washed and towel dried flowers in a seasoned batter. Using a light tasting oil, fry in a pan, stalk side up. Dandelion Tea Not everyone has access to a dehydrator, but you can still dry leaves for tea making. Preheat the oven to 200F. Wash the leaves, pat dry, then single layer on baking sheet and dry in oven until they are dry and crispy about 70 minutes. Crumble the crispy leaves, discard the ribs. Add about a teaspoon of leaves to a mug and pour boiling water over them. Allow steeping about 5 minutes. Strain before drinking. For a cold version of this tea, may I suggest making a quart of tea and before chilling, dissolve in the liquid, about 2-3 tablespoons of honey? Stir and add the juice of 3 average size limes. Once chilled, remove stems and leaves from freshly picked dandelions and add to the pitcher of tea just before serving. If you want to get really creative, channel your inner Martha Stewart and freeze the flowers in ice cube trays, then add to the tea just before serving. Use within 48 hours.